Wednesday, October 24, 8 a.m. 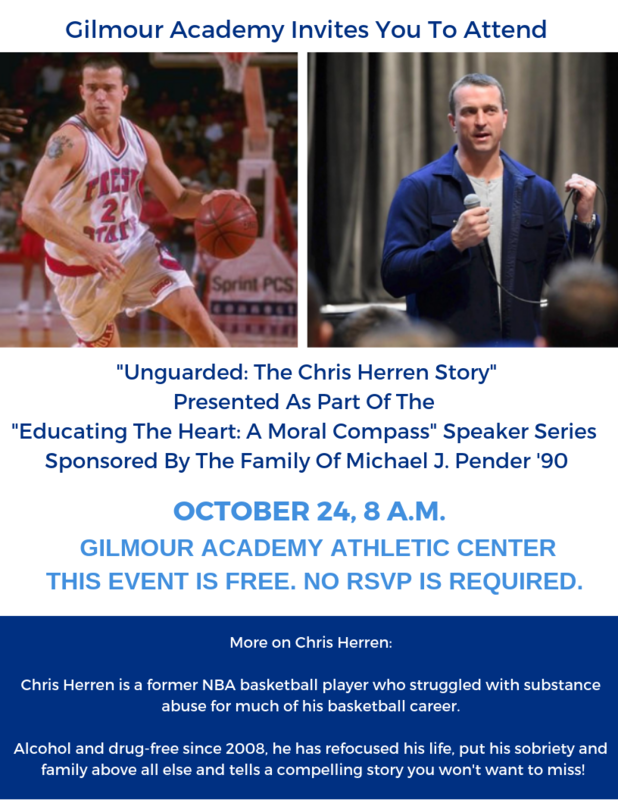 Audiences around the country describe Herren's presentation as leaving them on the edge of their seats. You won’t want to miss this story of substance abuse and recovery. Parents, alumni and friends are all invited to this can’t-miss event. See the flyer for more details.